Have you ever wondered why some of your friends can roll their tongues, but you can't? 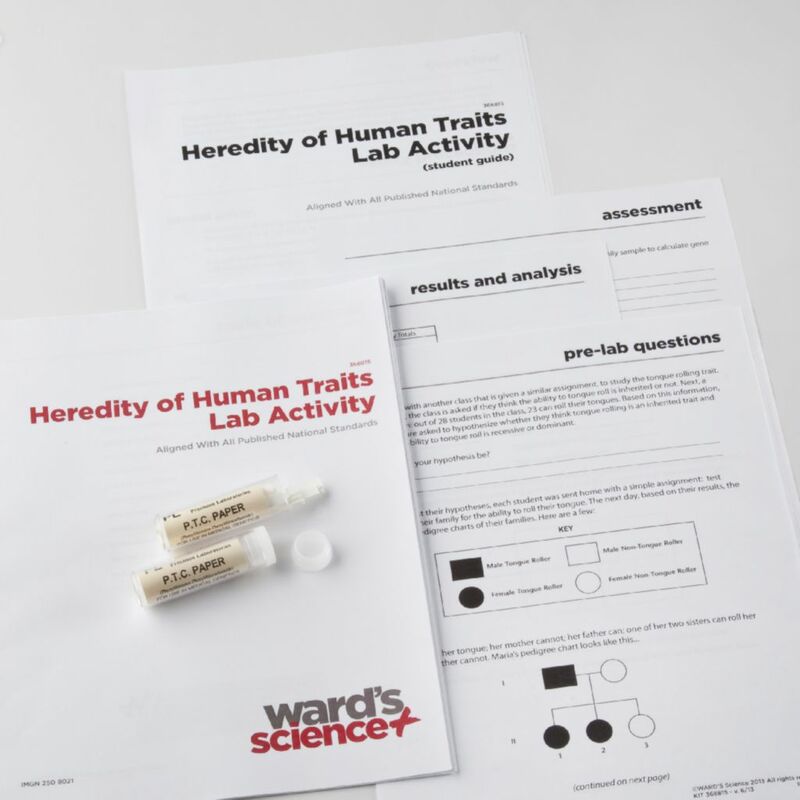 This lab activity uses basic Mendelian laws to predict the frequency of the tongue-rolling gene. Students test themselves and relatives for the ability to taste phenylthiocarbamide (PTC). From this data, they create a pedigree for their family and friends and use the Hardy-Weinberg Principle to determine the gene frequencies of a population. 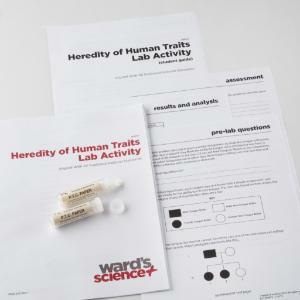 Students employ the basic framework principles of Heredity (LS3) and Biological Evolution (LS4) during this activity. This kit aligns with all published National Standards. Pre and post-laboratory assessments and vocabulary words target specific Science and Engineering Practices and Common Core standards. The teacher guide also contains specific "Did You Know" concepts that link the real world with scientific standards explored. This kit includes materials for 50 students. The activity takes approximately 30-40 minutes to complete. Ordering information: This kit includes two vials, PTC paper (100 strips per vial), a teacher's guide, and a student's guide. Calculators, scissors, and extra PTC paper to test additional family members are not included.